Western Reserve Land Conservancy, the state’s largest land trust, applauds Congress’s vote in favor of authorizing $300 million to the Great Lakes Restoration Initiative for each of fiscal years 2017 through 2021. 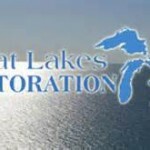 The Great Lakes Restoration Initiative is the largest investments in the Great Lakes. In 2010, a task force of eleven federal agencies developed a plan to put the President’s historic initiative into action. This plan called for: cleaning up toxics and areas of concern; combating invasive species; promoting nearshore health by protecting watersheds from polluted runoff; restoring wetlands and other habitats; and working with partners on outreach. During the first five years of the Initiative, over 2,500 projects were implemented to improve water quality, clean up contaminated shoreline, and protect and restore native habitat and species in the Great Lakes. 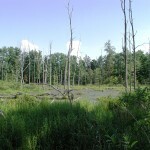 In 2015, the Land Conservancy was awarded a $750,000 GLRI grant to purchase conservation easements from landowners along the Grand River over the next two years. The Grand River funding was one of 14 GLRI grants totaling more than $17 million to fund projects that will improve Great Lakes water quality by preventing phosphorus runoff and soil erosion that contribute to algal blooms and by reducing suspended sediments in Great Lakes tributaries. 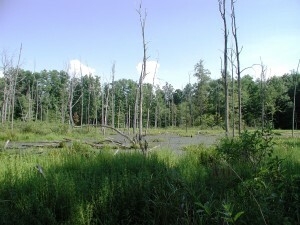 Other conservation projects benefiting from GLRI funding include the creation of Lake Erie Bluffs, a nationally significant park; the Beaver Creek/Bass Lake Corridor Protection Project which will protect protect/restore two miles of streams and 27 acres of wetlands in the Chagrin River Watershed; and the Mount Zion Project which protected 9.8 acres of wetland habitat in the Village of Highland Hills and helped implement the Mill Creek Watershed Action Plan.